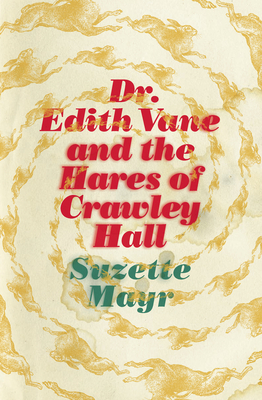 Decaying, asbestos filled construction, back-stabbing advisors, evil, possibly sentient hares: Crawley Hall is a haunted house, filled with all the usual horrors of academia--plus some unusual ones. This is a great addition to the campus novel genre! Dr. Edith Vane, scholar of English literature, is contentedly ensconced at the University of Inivea. Her dissertation on pioneer housewife memoirist Beulah Crump-Withers is about to be published, and her job's finally safe, if she only can fill out her AAO properly. She's a little anxious, but a new floral blouse and her therapist's repeated assurance that she is the architect of her own life should fix that. All should be well, really. Except for her broken washing machine, her fickle new girlfriend, her missing friend Coral, her backstabbing fellow professors, a cutthroat new dean - and the fact that the sentient and malevolent Crawley Hall has decided it wants them all out, and the hall and its hellish hares will stop at nothing to get rid of them. Like an unholy collision of Stoner, The Haunting of Hill House, Charlie Brown, and Alice in Wonderland, this audacious new novel by the Giller Prize-longlisted Suzette Mayr is a satire that takes the hallowed halls of the campus novel in fantastical - and unsettling - directions. Suzette Mayr is the author of Venous Hum, The Widows, Moon Honey, and Monoceros, which won the W.O. Mitchell Book Prize, the ReLit Award for Best Novel, and was longlisted for the Scotiabank Giller Prize. Mayr lives in Calgary, Alberta. Suzette Mayr is the author of Venous Hum, The Widows, Moon Honey and Monoceros. The Widows was nominated for the Commonwealth Prize for Best Book in the Canada-Caribbean Region and translated into German; Moon Honey was nominated for the George Bugnet Award for Fiction and the Henry Kreisel Award for Best First Book; and Venous Hum was longlisted for the ReLit Award. Mayr's novels have also received favourable reviews in the Globe and Mail, Quill & Quire and Xtra West. Her fiction has been taught in places as diverse as Germany, France and Pennsylvania, as well as in universities across Canada, including the University of Toronto, McGill University and the University of British Columbia.